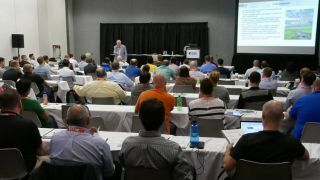 Continuing a long relationship with the Digital Signage Federation, based on getting the best digital signage market training and certification to DSE attendees, the Digital Signage Experts Group (DSEG) is set to bring their comprehensive live certifications to DSE 2018 in Las Vegas, March 27-30. The courses are designed to educate attendees thoroughly, from the fundamentals to in-depth technical training, covering critical areas of digital signage. Registration is still open to industry professionals seeking a path to certification, or re-certification, under the auspices of the Digital Signage Experts Group (DSEG). Instructors for the courses include Alan C. Brawn, Jonathan Brawn, Ryan Cahoy, Jim Nista, Tom Jones, and Dave Haar.